The law of demand has been put forward by Dr Alfred Marshall in his book “ Principles of economics ” published in 1890. According to by Dr Alfred Marshall demand ie “ the desire backed by willingness and ability to pay “ tends to diminish with a rise in price and rise with a fall in price. Marshall has generalized in his statement of the law. E.g. when the price of the commodity rises from Rs 3 to Rs 5/-some existing consumers buy less than before i.e. A, B, and D buy 1 instead of 3, 2 instead of and 4 and 1 instead of 4. Some consumer’s e.g. “C” will leave the market. And when the price of the commodity falls from Rs 5/- to Rs 3/ some existing consumers buy more than before ie A, B, and D buy 3 instead of 1, 4 instead of2 and 4 instead of 1. Some consumers e.g. “C” will enter the market. he will now buy 2. 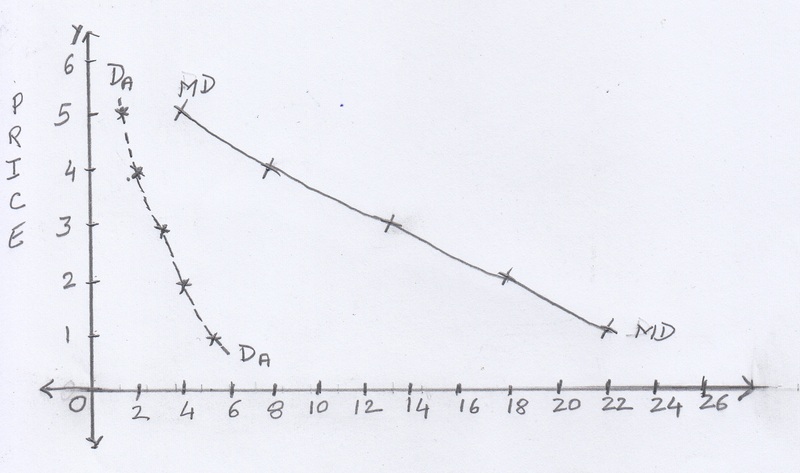 Dx = f (Px ) ————– ( inverse). Here, price of the commodity plays an active role ie influences the consumer to buy more or less. 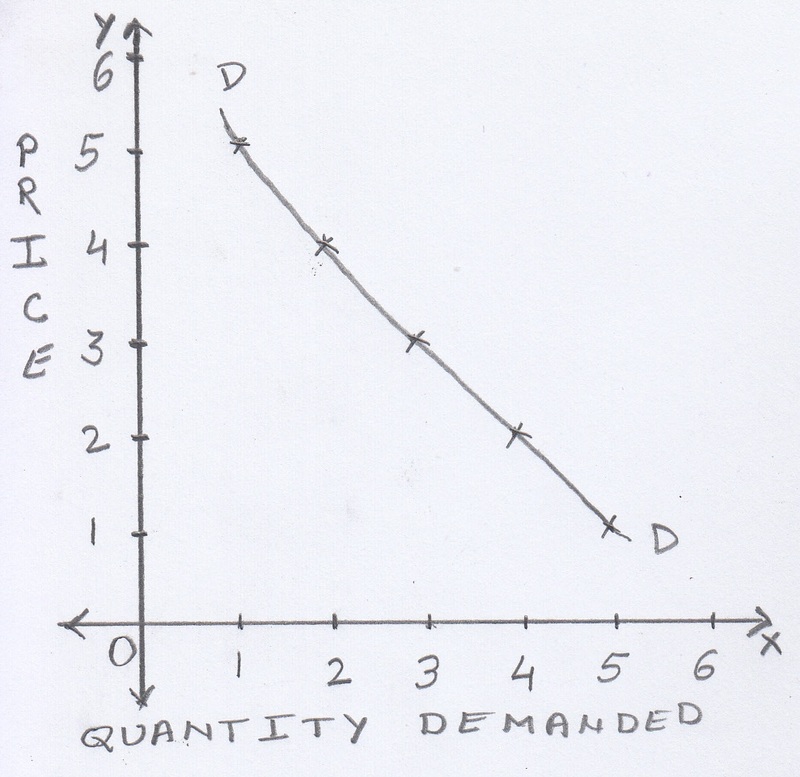 Other factors affecting demand are assumed to play a passive role ie to remain constant. These are the assumptions of the law of demand.